This wooden key holder is an organized and beautiful one. It is rectangular in shape and has a door like opening to the key holding Read More..area. 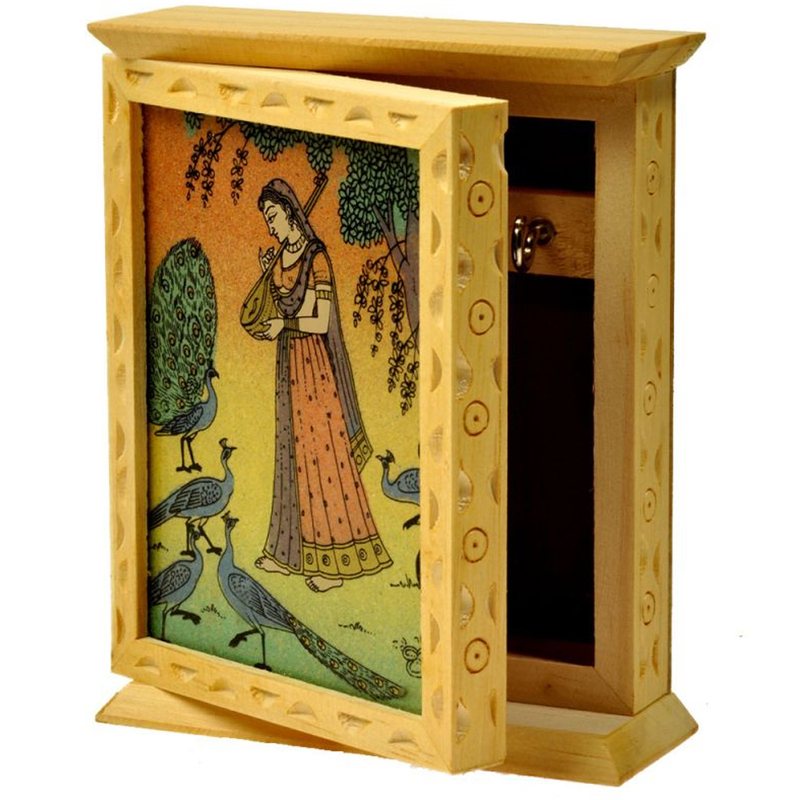 On the front of that door, beautiful gemstone painting is done to define its beauty. The key holders are inside the box. This box is an organized one and helps to keep the valuable keys well. This key holder is attractive and very useful. Show Less..